I love all of the books in the elemental mysteries series. 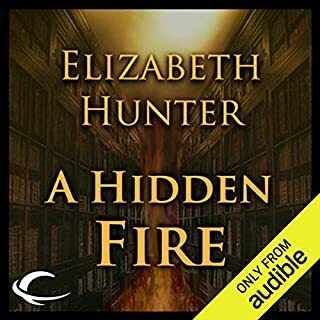 Elizabeth Hunter is an amazing author. But i was not happy with the audio version. I didn't like the accent of Giovanni. He came off as harsh and old. Even though he is a 500 year old vampire, he was turned when he was very young. When he spoke to B, most of the time it was tender. Not abrupt and condescending. He needed a softer side to his voice to make me believe it was really Giovanni. Beatrice on the other hand had an annoying voice. She is portrayed as an intelligent woman but her voice reminded me of a very dense and flighty girl. I suggest not using less accents on the characters and add more emotion instead.